Those who fill out a Landstar System application are looking to join a company that strives to ship customer’s products across the world in almost any way possible, including land, water, and air. Links to apply for jobs at Landstar System are at the bottom of the page. Founded in 1988, Landstar System grew rapidly, choosing to run an owner-operator based contractor system with their workers instead of running on a forced dispatch plan. In 2014, the company sold one of their subsidiaries, National Logistics Management, which was one of their online-based companies. Currently, the company has over nine thousand contractors alone working across North America to serve who hires them. They are publically traded, and within the past three years, has seen a positive trend in all of their stock prices, which have steadily been rising. Landstar System offers a number of services. They offer third party logistics for people who hire them to plan out the shipping for their companies, along with shipping plans. A majority of their shipping businesses take place in North America, between Canada, the United States, and Mexico. People who are looking for Landstar System jobs at the corporate level will be based out of Jacksonville, Florida. A majority of the positions available in Florida are administrative and clerical, making sure that the company and its operators and exceeding the customer’s expectations. Locally, a majority of Landstar System careers are contract work. All of the truckers that they hire are contractors and control their own trucks and schedules. They do this in order to have a wide range of options for their customers to ship their products on and give them a number of ways in which to do it. How old do you have to be to work at Landstar System? Age requirements vary by position. As you look at Landstar System jobs online, make sure to read all the position needs carefully, as they may require various degrees, certifications, or experiences before you can be hired. Although Landstar System operates across the world, their corporate offices maintain regular business hours; usually opening between eight and nine, and closing between five and six. However, if you’re a contractor, you’ll make your own hours in order to meet the demands of the customer and the company. Customer Service/Permit Rep – When permits are up for renewal, you’ll work to do that in a timely manner so that no permit is out of date. As questions come up from drivers, contractors, agents, and recruiters you will answer them in a quick and accurate manner. Compensation is around $45,000 a year. Recruiting Coordinator – As contractors call in or apply online to become an Owner Operator with the company, you’ll work to keep them engaged as you walk them through the application process. Compensation is around $40,000 a year. Programmer/Analyst – You’ll work to solve complex problems by analyzing, designing, and evaluating applications and systems. A requirement for this position is that you will become a primary controller of at least one system and provide back up for several others. Compensation is around $70,000 a year. Business Analyst Specialist – As needed, you will create reporting databases for bids that have been submitted, awarded, and received while researching new companies that are willing to work with you. When requested, you’ll work on special projects and see them through to completion. Compensation is around $80,000 a year. BCO Field Rep – When new and old BCOs and operators call in for assistance, you’re the person that’s there for them. You’ll work to build up their confidence while you offer them the assistance that they need. Compensation is around $50,000 a year. Why do you want to work for Landstar System? This is an extremely common interview question, so you should be prepared for it. Talk about what drew you to the company, whether it was the culture or benefits and why it’s your first choice in places to work. What experience do you have? If you have any relevant experience, highlight it. If you don’t, talk about what you can bring to the position and offer the company. Make sure to use plenty of examples to back up and support any claims that you may make. Some Landstar System positions require traveling for business, so you may be asked: Do you have a valid driver’s license and a good driving record? Be honest and explain any accidents that you may have on your record. If you have any tickets, explain how you got them and why you won’t get another one like it again. Several Landstar System jobs may require you to stand for long periods of time or to carry heavy objects, so you may be asked: Is there anything that could keep you from doing your job? If you’re straightforward with the company, they’ll probably work with you to find a way for you to fulfill the position requirements. How to apply for Landstar System online: search for the position that you’re interested in applying for in the location that interests you. Once you’ve found the position that you’re interested in, read the job requirements closely before filling out and submitting your Landstar System application. There is no printable application for Landstar System available on their website. Before attending your interview, do research on Landstar System and the industry in order to create a list of questions that you can ask. For an entry level position, this may seem excessive, but it will place you above the other candidates as it shows that you think ahead and are prepared. Your interview will probably take place in a semi-formal setting, so wear professional business clothes, at the very least. If you’ve applied for a managerial or supervisory position, a suit would be appropriate. Have a positive and friendly demeanor when you attend your interview because it will give a good impression. 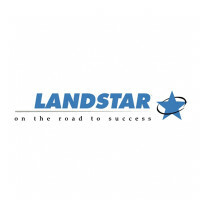 Show gratitude at the opportunity to interview with Landstar System. And, after your interview, inquire about the best way to check on your hiring status. Very few applicants will learn if they got the job during their interview, as Landstar System will want to screen all candidates before making a final decision on who is hired. Consolidated Edison: For career opportunities, fill out the Consolidated Edison online application. Convergys: Convergys offers opportunities for both, beginners and experienced roles. LADWP: For career opportunities, fill out the LADWP online application. NiSource: Checkout the application page for work at NiSource. Labor Ready: Labor Ready offers opportunities for both, beginners and experienced roles.